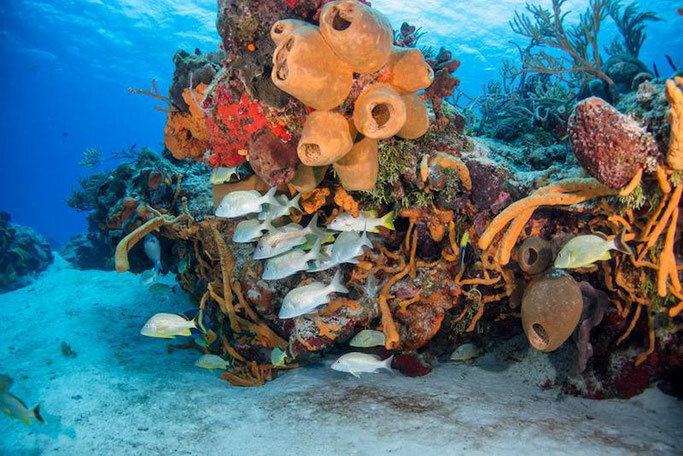 No scuba diving trip to Mexico is complete without heading to one of the most famous dive destinations in Mexico: Cozumel. You can't go far without hearing whispers about the amazing scuba diving here, so of course Girls that Scuba had to go and see ourselves if it lived up to it's reputation! Cozumel is its own island off of Playa Del Carmen and around 1 hour from Cancun. Measuring 34 miles in length and 8 miles wide, Cozumel is Mexico largest island and the oldest in the Caribbean group. To get there you will have to get a ferry from Playa Del Carmen that runs every 30 minuets. There are tons of companies selling tickets and you don't need to book in advance. A return ticket is around 390 pesos ($20usd). 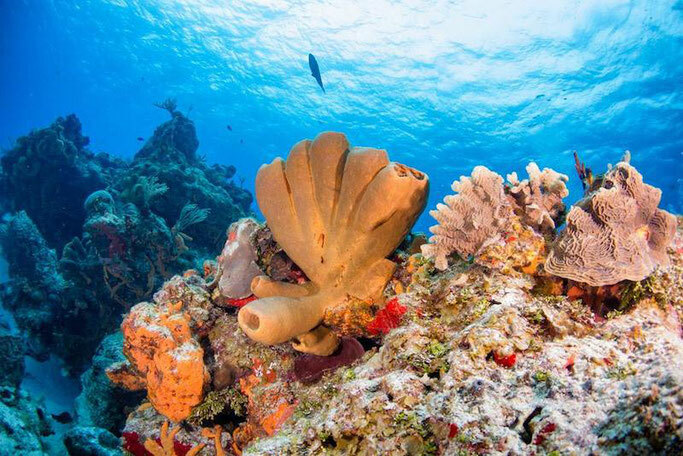 Part of the Great Maya Barrier Reef, the world's second largest reef system. The island is separated from the mainland by a deep oceanic trench which creates a funnel for the consistently nutrient rich currents and therefore attracts lots of wildlife. TOPOGRAPHY / DIVE TYPE: Coral pinnacles rise from a sandy bottom which slopes slowly down to a drop-off. EXPERIENCE: Because of its generally good visibility and shallow nature, this makes a good wall dive for beginners. 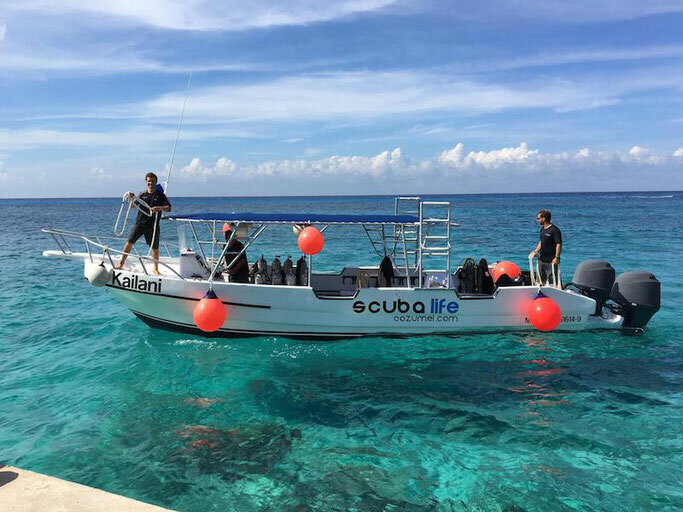 The star attraction of Cozumel Reefs National Park (Parque Nacional Arrecifes de Cozumel), and most peoples first dive in Cozumel, Palancar Reef is a rich underwater landscape ideal for snorkels as well as scuba divers. Aquatic species thrive amidst these colourful corals, including sea turtles, rays, nurse sharks, barracudas, moray eels, and a kaleidoscope of colourful fish. One of Cozumel's most popular deep dives, because it never disappoints. The wall starts between 15- 20m and drops straight into the deep! 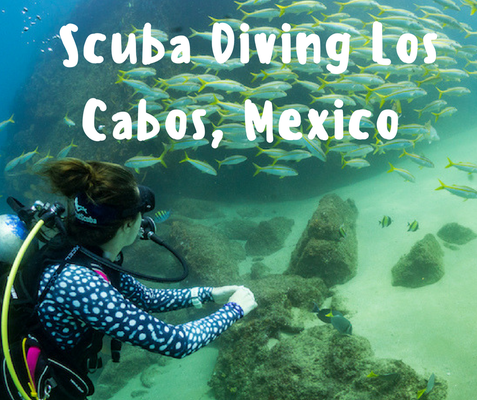 Find immense sponges, huge overhangs covered in corals and lots of caves and swim through to enjoy. Eagle rays and turtles are often spotted here as well as large groupers. Excellent multilevel dive when learning to plan and manage a deep dive. Spectacular formations in vivid hues create swim-throughs and caverns that host lush, gorgeous sponges of all types, plus turtles, sharks, stingrays and groupers. Look for the giant anchor toward the end of the dive, and the eponymous bricks - ballast from a forgotten wreck. Colombia Wall is over 90 feet high, with stunning caves, tunnels and caverns. Extremely large marine life such as sea turtles, eagle rays, and large barracuda can often be seen in the ocean water. You can expect to see massive coral pillars, some more than 60 feet tall! Watch out for blue tang here, also known as surgeonfish for their scalpel-sharp tail appendages. 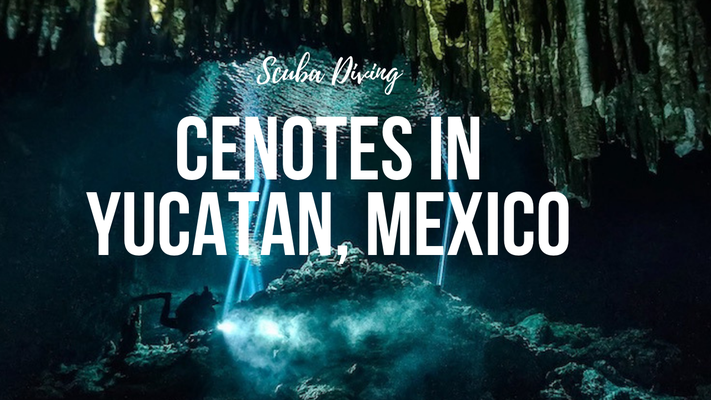 There are tons of dive centres to choose from in Cozumel, but luckily we were recommended one of the best (and not just one of the most well known) Scuba Life Cozumel. A great little dive centre located in Marina with their own boat ready to take you and your group diving! Professional and fun with added extras of great snacks on boat and jackets for when the rain decides to come! Give them a shout on their website or on Facebook.